Tools for Content Writing - How to Create Quality Website Content with Help! Tools for Content Writing – How to Create Quality Website Content with Help! How to create quality website content is the biggest theme that every internet marketer faces. Not everyone was born to be a writer. But don’t feel discouraged as being a great writer is not a must to be successful online. You don’t have to struggle all by yourself as there are tons of tools for content writing that helps a web writer like you and me. And many of them are free to use! In this article, I am going to share the tools that I found most useful in the areas as below. 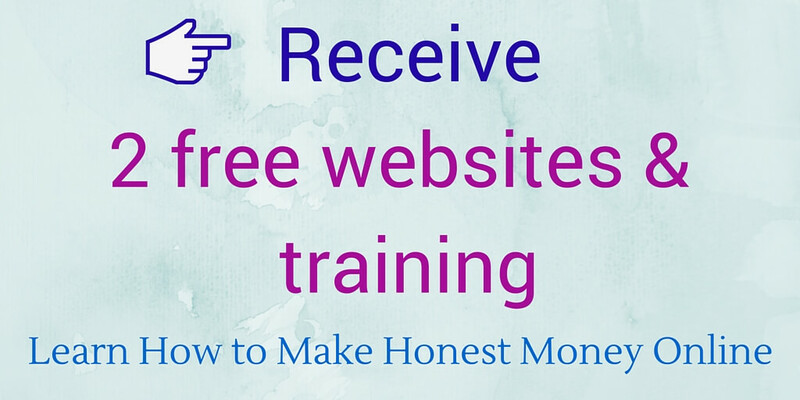 I have used all the tools and highly recommend to fellow web writers. They may make your life a bit easier as well, so read on! I spend quite some time in selecting the headline for my new post. This is because, although 8 out of 10 people will read your headline, only 2 out of 10 will go to your site and read the actual article. It means that no matter how great your content is, you won’t get readers if your headline is weak. Soovle is an excellent tool to look up the popular terms that people use on the internet for a particular niche. You can just type in a phrase related to the topic of your new article and see what terms have been used for Google, Amazon, Wikipedia, Yahoo, Bing, YouTube and so forth. For example, I typed “free images” in the search bar at Soovle for the article I was going to write about where to get free images for websites. The result indicated that the term “free images for websites” has been used for search at Google, Bing, and YouTube. It may make a good headline for my new article. But now I need to check if the phrase is a good enough keyword to become a title. For a phrase to make a good title, it has to have sufficient search volume and low competition. You need a good keyword research tool to check those two elements. I use Jaaxy, and it has been a life saver for my content creation. The SEO score is 92, which is very high as well. I think I will go with this phrase for my article. This is a great tool to assess a headline you have in mind from various angles. It evaluates the headline in term of word balance, length, headline type, and other aspects. It even gives you the overall score of the title ranging from 0-100! All you have to do is enter the phrase in the box and click “analyze now” and the headline analyzer does all the work. 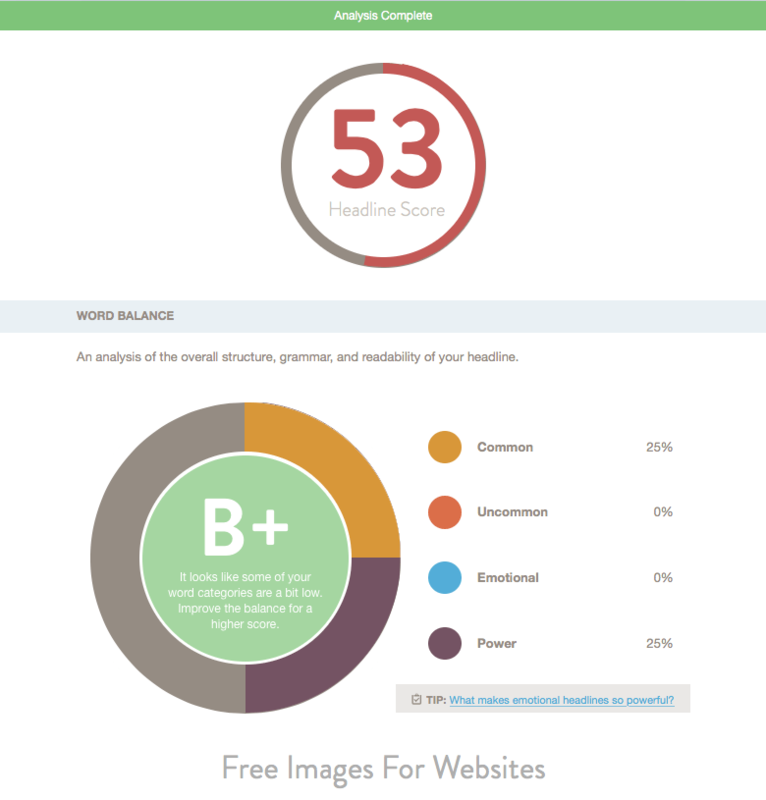 My potential title “free images for websites” scored 53 only. Hmm… The word balance seems to be ok. It got a “B+” with common words and a power word (in this case, “free”) in it. But the overall score is a bit too low. 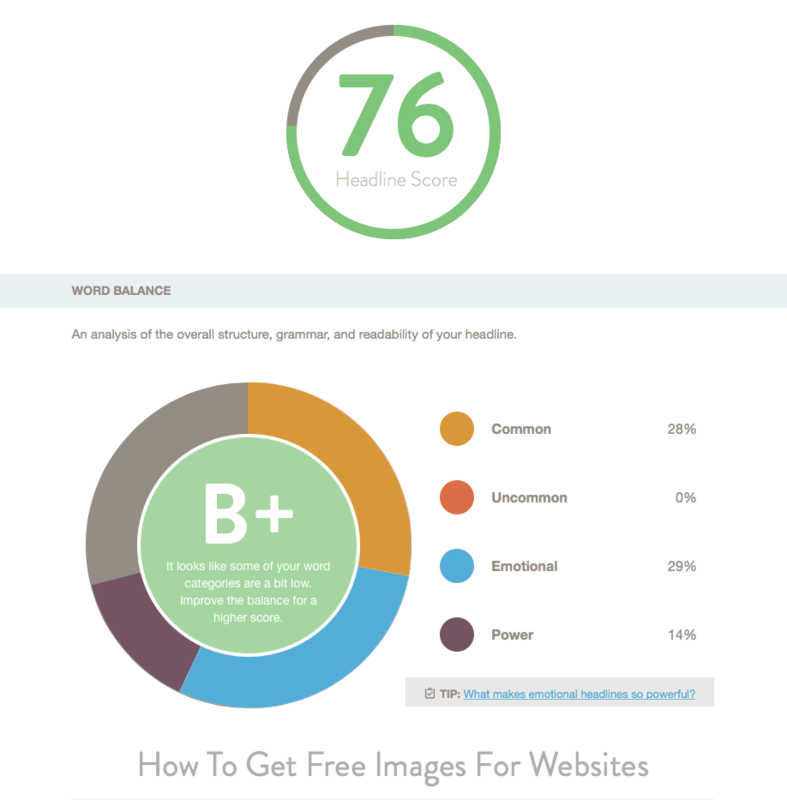 Other sections of the analyzer give you more detailed results in terms of “Character Count” and “Word Count.” As you can see below, the phrase “free images for websites” didn’t score very high in either category. It says the phrase is a bit short and way too light with words. It was great as a keyword, but may not be captivating enough to use it as is, as a headline? Interestingly, when I added “How to get” in the beginning to this phrase, and made it “how to get free images for websites,” the score jumped up to 76! 😯 It shows that the word balance seems to be good as well, with emotional words (“free” and “how to”) added to the common words and power words already included. I didn’t know that “how to” is emotional words that add a spice to your title. Better keep this in mind for future title creations! This tool generates delightful and funny phrases! I have never used a suggested phrase as a post title exactly as is, but it does give you ideas and inspirations when it comes to creating a captivating headline or the content itself. Just play with it, it’s fun. You can type in any words in the search bar and see what you get. I typed in “free images” and the first result it generated was “Will Free Images Ever Rule the World?” …haha. It would make a fantastic headline only if I could actually create an article base on this title! You can keep clicking the refresh button located right next to the search bar and see what other suggestions you will get. Below are other phrases I got with “free images.” For your reference, I added the score from the CoSchedule Headline Analyzer for each phrase. See how high all of them scored? I know some just sound too silly but don’t you get curious and feel like reading it if you ever see these titles online? They will all make a very strong headline for sure. But as I mentioned earlier, whether or not you could write actual content based on these topics are an entirely different story. Still, I think this is an excellent tool for you to get an idea of a headline or to get inspiration of your new article. I am not sure how you feel about this tool but to me, this is the most refreshing writing tool I have ever found online. What ZanPen gives you is an entirely blank page! Although there is a tiny toolbar on the edge of the page with only four options, they are almost invisible, and you don’t really see it unless you hover the cursor over. Other than the tiny hidden toolbar, there is absolutely nothing exist in the writing zone at ZenPen. No distraction whatsoever. You can be in a peaceful space to merely focus on writing and hence, the name “Zen,” I guess. Surprisingly looking at the blank white space also does inspire you to write. You can let your creative mind go and simply put your thoughts into words. There will be no red underlines or anything indicating the spelling errors or grammar mistakes you have made like Word does. Nothing stops the flow of the writing. With ZenPen, you can only focus on creating your content. Although ZenPen is a perfect tool for me to work on my first draft, of course I cannot publish it as is without proofreading and editing it. English not being my first language, I especially have to be mindful of grammar mistakes I make. (And I make so many of them!) Grammarly is a great tool for this. As you can easily guess from its name, the tool finds spelling and grammatical errors in your writing. Once I complete my first draft at ZenPen, I click “New” and paste the text onto Grammarly. You can use the feature “upload” if you use Word or other writing software for your first draft. You need to create an account with Grammarly to use their service. It is free, and the free account is good enough to catch basic mistakes. Especially if you are not a native speaker of English like me, Grammarly would greatly help you to make your content more readable. One thing I really love about Grammarly is that, as it is an online tool, once you sign up the grammar checker will be in effect for any online typing that you do. You don’t have to necessarily go to their dashboard zone for each editing. When you are tweeting something, commenting on your friend’s post at Facebook, writing an email, or creating a post at WordPress, any writing that you do online will be automatically checked by Grammarly. How cool is that! If you wish to catch advanced errors and better your content than just being error-free, you may need to become a paid member. They offer memberships for monthly ($29.95/month), Quarterly ($19.98/month) and Annual ($11.66/month). Once you have upgraded to a paid member, you can fully utilize their service. The following are the features that paid members receive. (1) You can select the document type (General, Academic, Technical, etc. 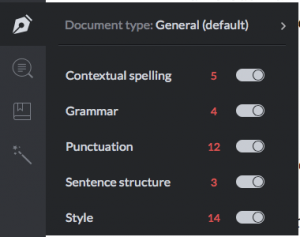 ), and Grammarly analyzes your writing in the following categories based on the type. (2) It also checks all existing online web content and evaluates the originality of your writing. This will incredibly assist you with SEO as duplicated content gets negative rankings in the search engines. (3) Paid members also receive the help with their vocabulary enhancement. If you keep using the same word, for instance, Grammarly indicates so and suggests other possible words/phrases to replace it. (4) You even can get your writing proofread by a professional proofreader! I have not used this service yet, but if I do I will report back. Below is a draft of a product review I have already published on this website. As I am a paid member at Grammarly, you can see that it underlined not only spelling or grammar mistakes but also phrases/wording that need to be improved. To be honest, though, I do not always follow their suggestions 100% as I believe it is more important to keep your writing lively and engaging rather than making it grammatically perfect. But it certainly does help to be aware of the parts for possible improvements. Particularly for non-native writers of English out there, it does provide a peace of mind. 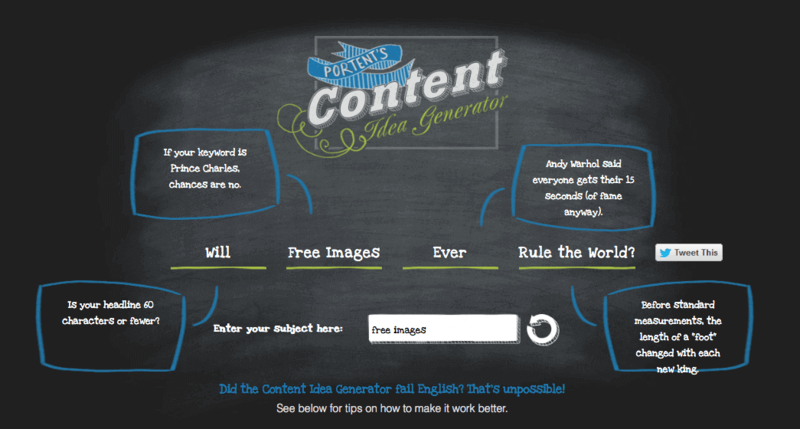 Have Fun with Tools for Content Writing! I’ll repeat this, you don’t have to be a naturally talented writer to succeed online. The more important thing is to provide your readers valuable information within your website. Your content, however, at least has to contain a good keyword. It should be titled with a captivating headline so that online readers feel like clicking when it appears in the search results. It also has to be readable enough that your readers won’t get frustrated but feel rather engaged reading your content. Let tools help you in those areas. Don’t scratch your head all alone! Everyone experiences the difficulty with how to create a quality content so you are not alone. Don’t feel bad even if you can’t write a masterpiece. It will become easier as you write more. I think the tools I introduced here will greatly assist you especially when you are just starting out, so give them a try when you have a chance. They definitely helped me and reduced the stress of coming up with ideas and writing posts. If you are familiar with any other useful tools, please do share below. Many will benefit from the information you share and I would of course love to know as well! Creating a high-quality content for your website could be a daunting task, but let’s try to have a bit of fun with it. Most importantly, never stop creating content as it is the core part of your online success! 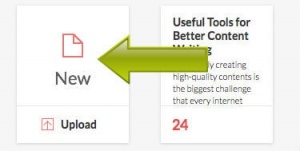 8 Comments on "Tools for Content Writing – How to Create Quality Website Content with Help!" I have never used any tool for content writing cause instead I write everything myself. I find it easier that way even though i canÂ´t say it is better. 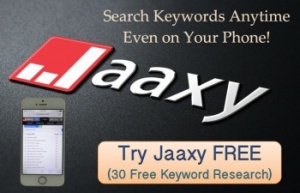 But, isn`t Jaaxy a keyword search tool? Does it also help writing content? I do all the writing for the main content but these tools do help to come up with a captivating headline or just get an idea when you feel kind of stuck. Yes, Jaaxy is a keyword research tool and a very good one 🙂 If you also use Jaaxy, you know each search lists all the other related phrases on the side? Those actually help me to set the direction of the article sometimes because they are real terms used by people searching online. Thanks for commenting Igor. Happy writing! Very cool article. If you hadn’t said English is not your first language I would have never known. As a former English teacher who has a pretty good grasp of the English language, I’m usually pretty good at spotting errors. Your writing and expressions were nearly flawless. Many so-called English speakers who speak English as their first language don’t do as good a job as you. Perhaps that’s a result of the tools you wrote about. If so, it makes a great statement. Ah, you used to be a sensei (teacher)! Nice to receive a positive feedback from a professional 🙂 Thank you! Hi Juko, nice thoughts on content writing! I often use CoShedule Headline Analyzer, as for me, it’s a really useful tool! Besides, except Grammarly I know a pretty good editing tool – Hemingway Editor (www.hemingwayapp.com) and a reliable plagiarism checker Unplag (unplag.com). Have you ever tried these tools? Or are you using some alternatives? Yes, I have used Hemingway Editor too and liked it quite a lot. I started using Grammary more as their workspace looks less noisy (so to speak?) and helps me focus on writing. I have never heard of Unplag though. I shall look into it! Oh, Yuko, I misspelled your name!